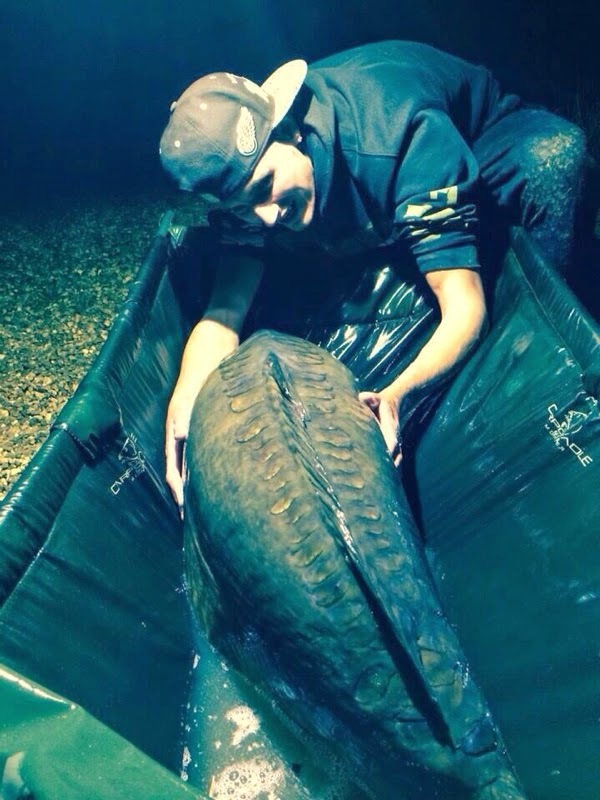 The same fish that broke the prior carp fishing record for both Belgium and the Benelux, nicknamed 'De Mohikaan' (The Mohican) was captured in October at a new record weight of 90lb 8oz. 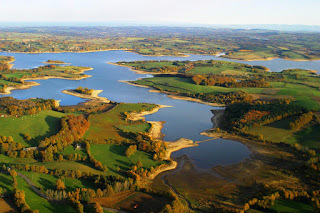 Dutch carp fanatic Rudy Lemmens managed to land the very difficult to catch specimen carp 'De Mohikaan' from a secluded water in Belgium, known as the 25-hectare lake. Rudy got huge mirror carp out at a new record weight op 90lb 8oz, breaking the former record capture at 88lb from Belgian angler Kurt van Cauwenberg dating from 2011. 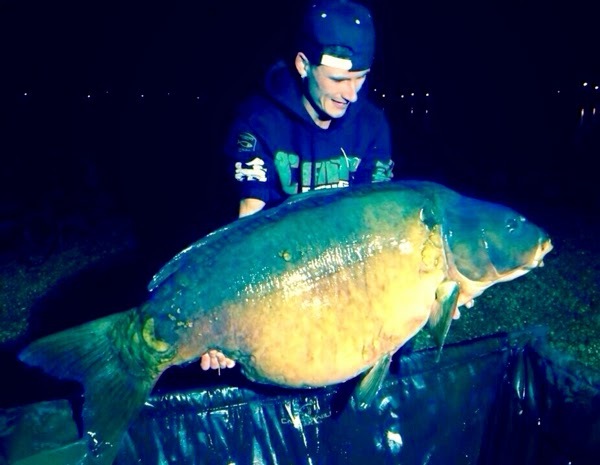 Rudy Lemmens with De Mohikaan at 90lb 8oz. The fist documented catch of De Mohikaan happened in 2009 bij Marc Pansar at 82lb, followed by just a couple of additional catches in de following years.